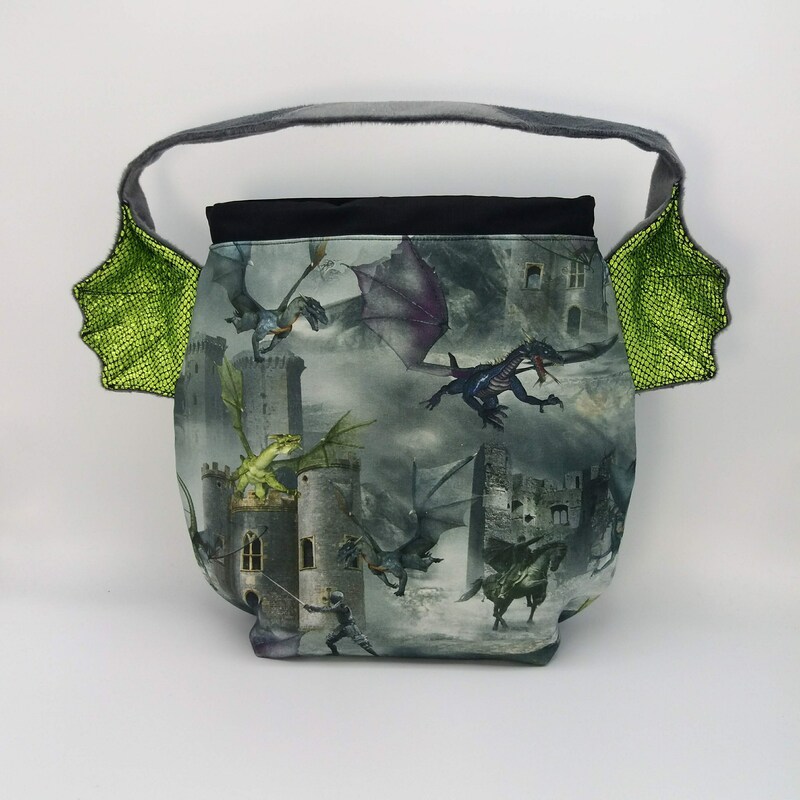 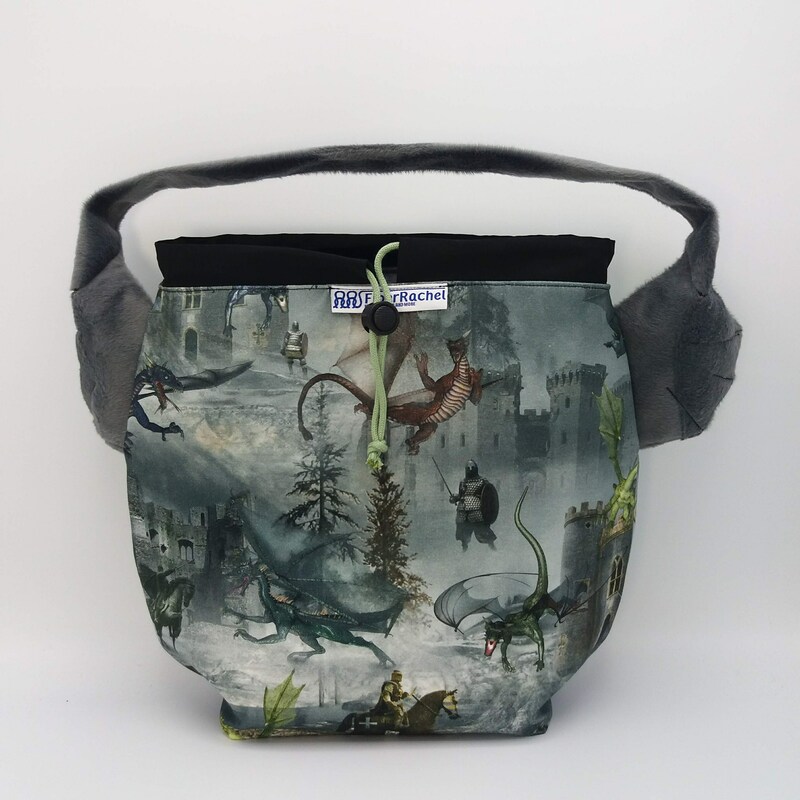 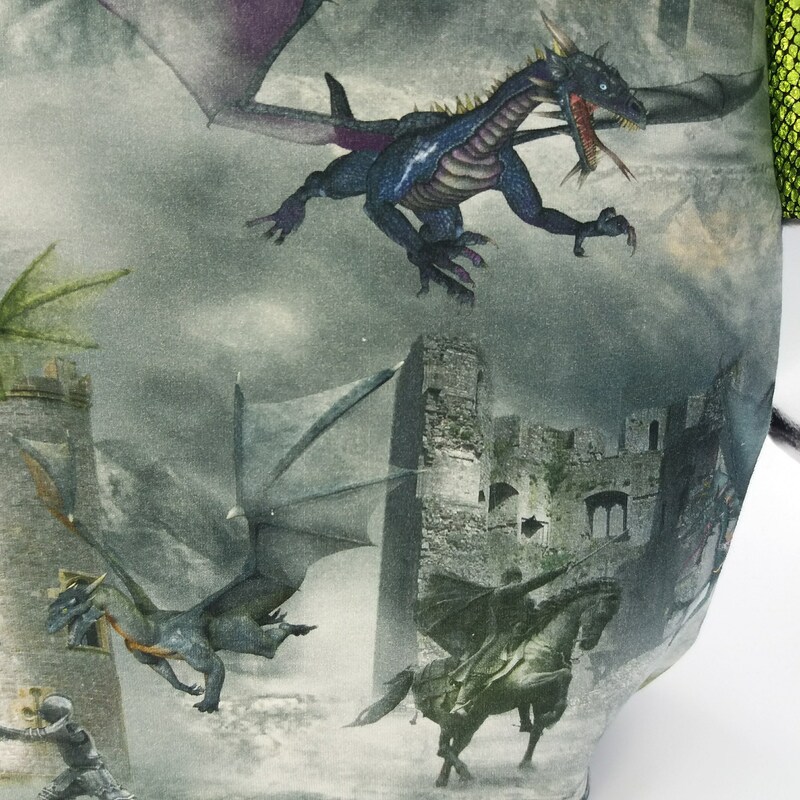 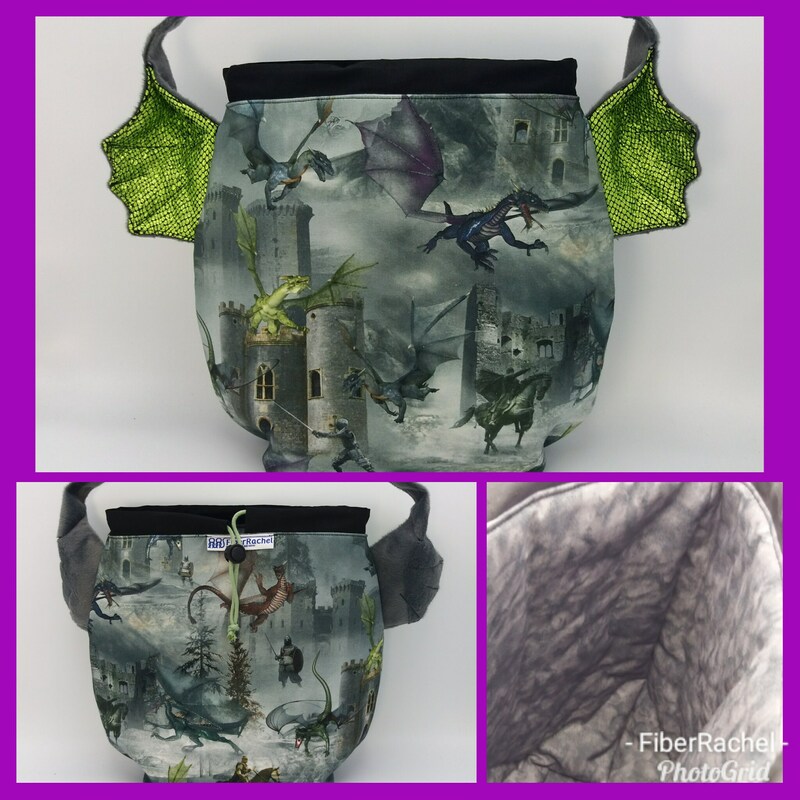 The Dragon Ears bag is a fabric drawstring bag with a sturdy cord and stopper, handle with ears effect, lightly interfaced and padded lining. 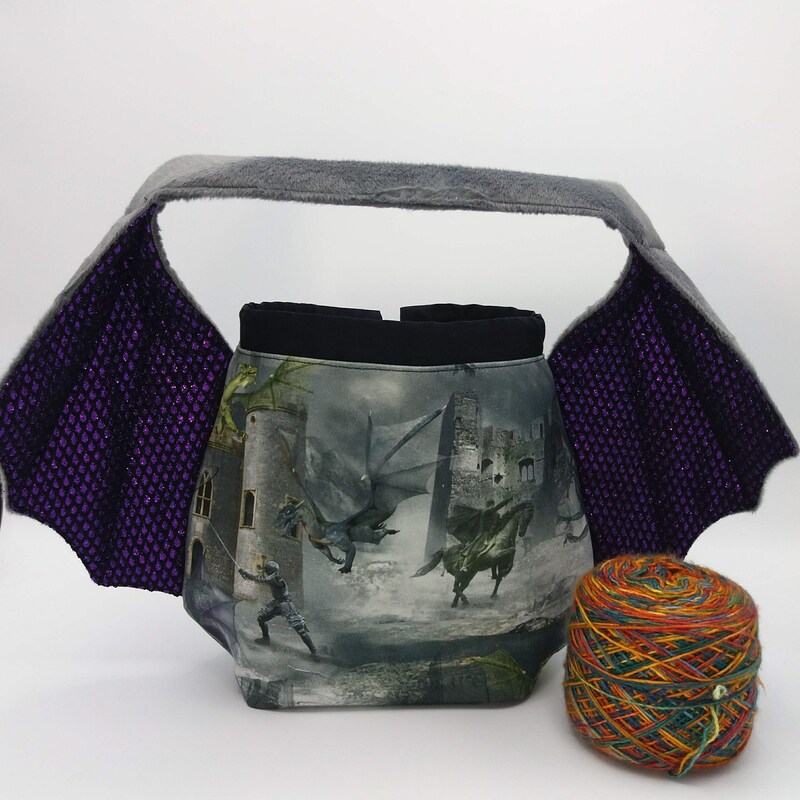 Especially suited for knitting or crochet projects using 6-7 balls of yarn, like sweaters or large shawls etc. 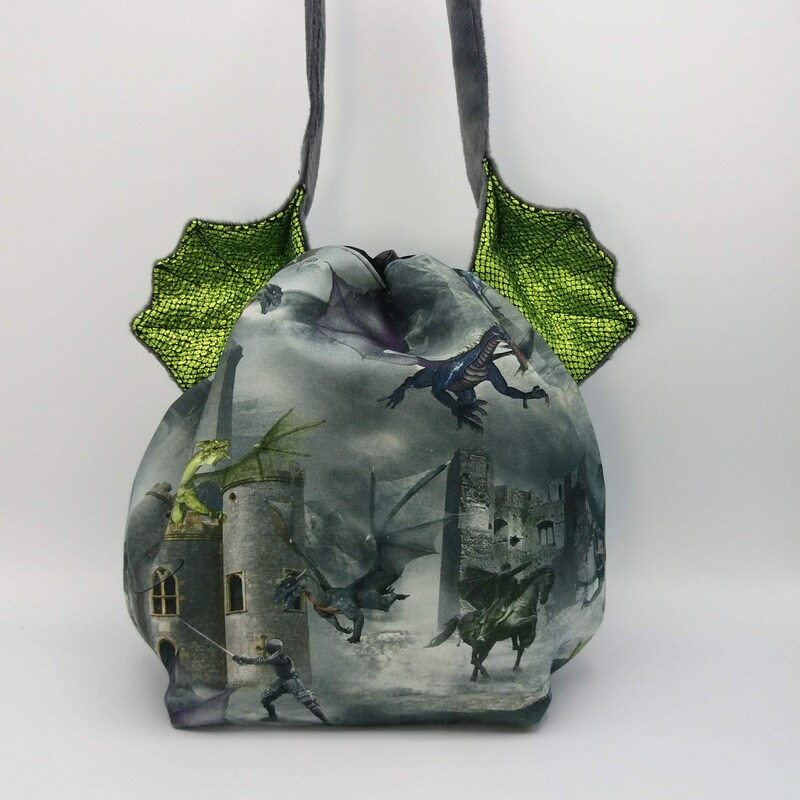 Size: approx 14 cm/5.5" deep by 32 cm/12.5" high and 36 cm/14" wide, the handle is 40 cm/16" from ear to ear. 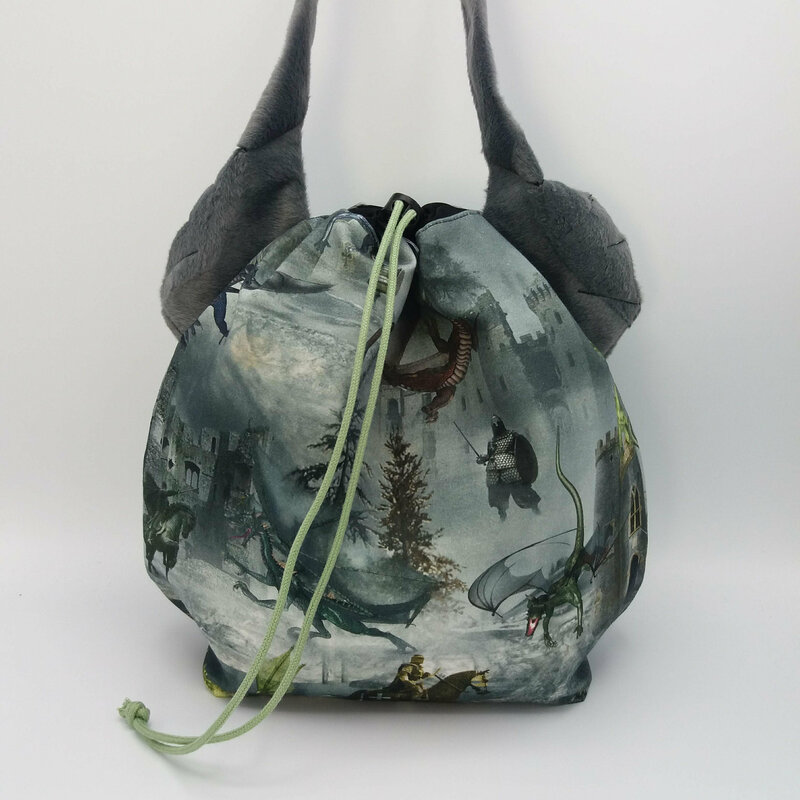 The bag can be stored flat but due to it's construction and reinforced base it can also stand up free, even when empty. 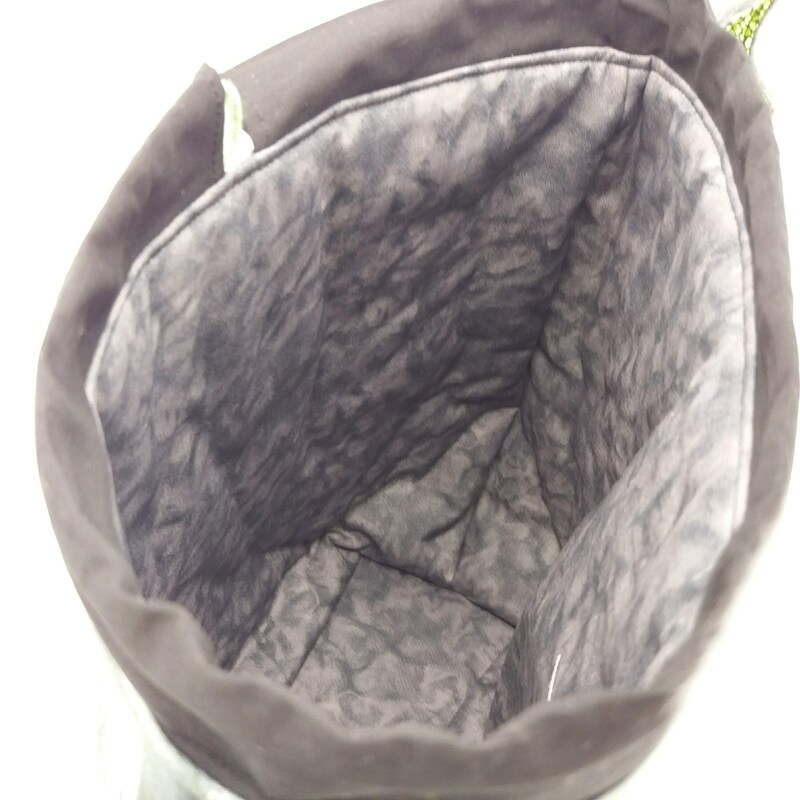 The first pictures are of the actual bag you are buying, other pictures show different variations of the bag. 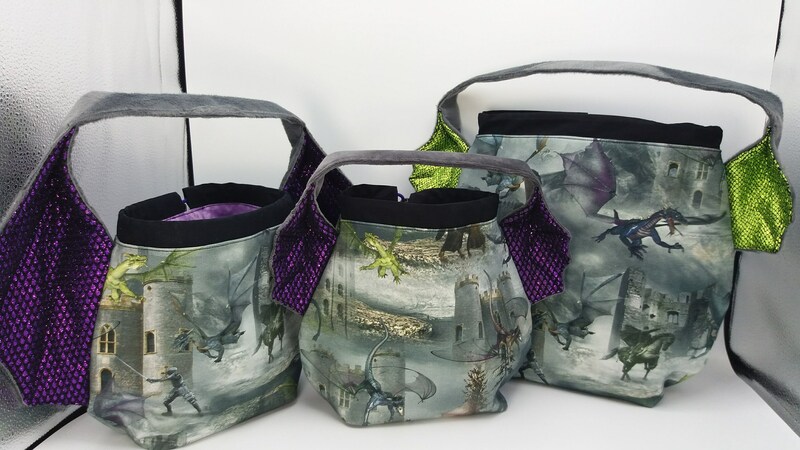 All my offered bags are ready to ship. 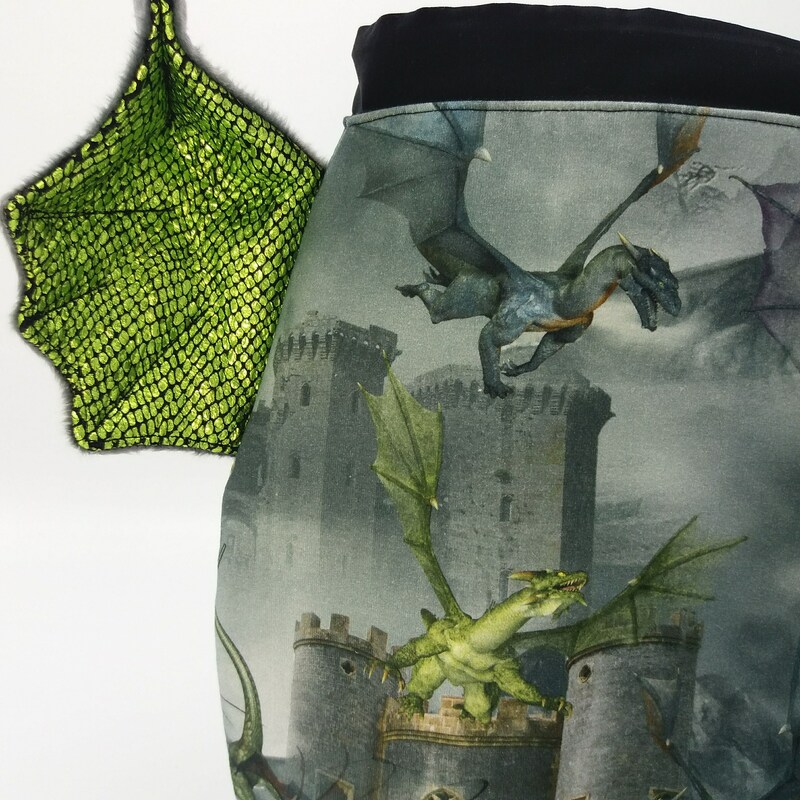 Other items shown in pictures are not part of the offer.